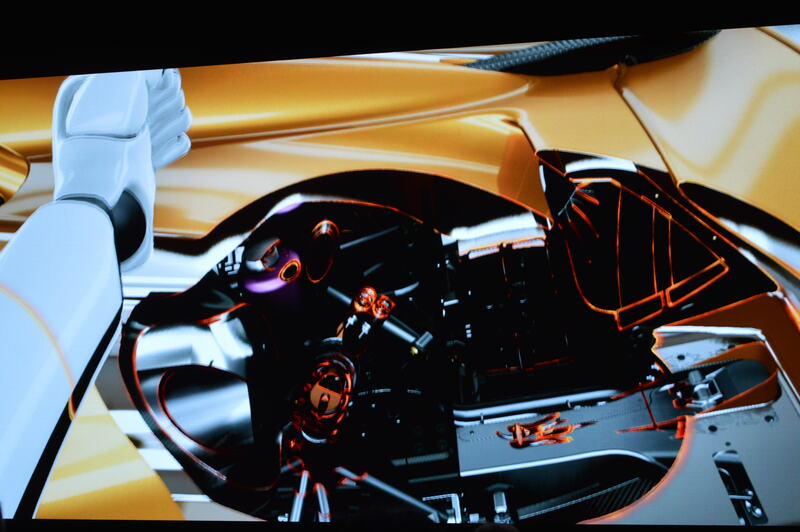 11:57AM EDT - The song playing right now? 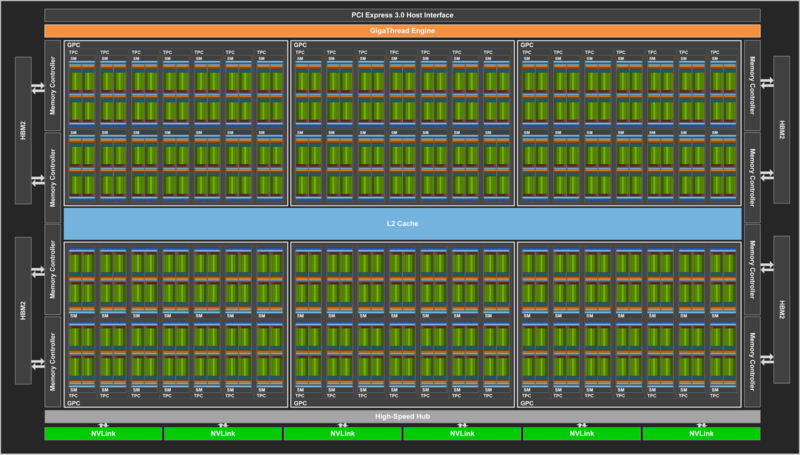 "I'm on top of the world"
11:58AM EDT - So what are we expecting this year? 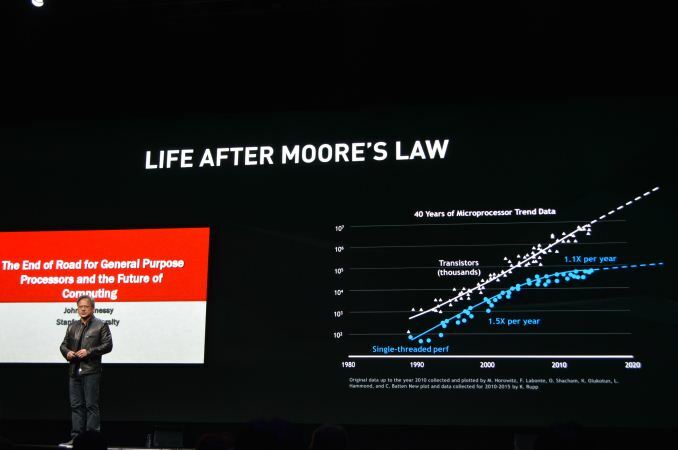 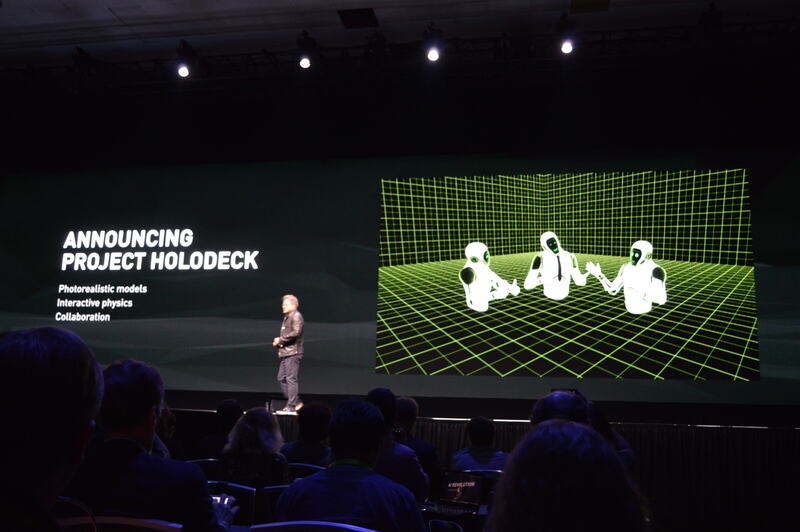 12:10PM EDT - "Life after Moore's Law"
12:22PM EDT - "10 out of the world's top 10 car companies are here"
12:23PM EDT - Announcing "Project Holodeck"
12:30PM EDT - Moving on. 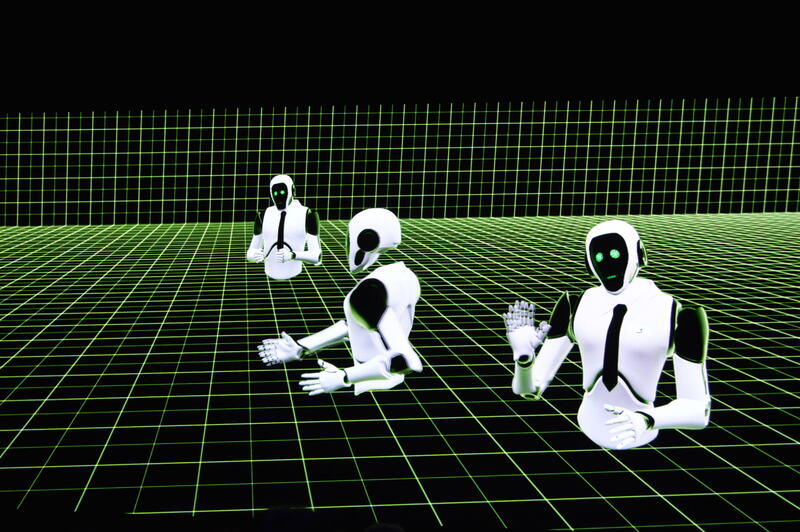 "Era of Machine Learning"
12:32PM EDT - "One of the most important revolutions ever"
12:32PM EDT - "Computers are learning by themselves"
12:45PM EDT - "We have democratized computing"
12:46PM EDT - "Our strategy: create the most productive platform for machine learning"
12:48PM EDT - "Every single cloud company in the world has NVIDIA GPUs provisioned in the cloud"
12:56PM EDT - Now it's time to the "next chapter of computing"
01:49PM EDT - Random aisde: the name of NV's internal DGX computer for development use is "Saturn V"
01:52PM EDT - Will support numerous permutations of software stack versions and GPUs "for as long as we live"
"DGX Station. A personal DGX with 4x Tesla V100s. 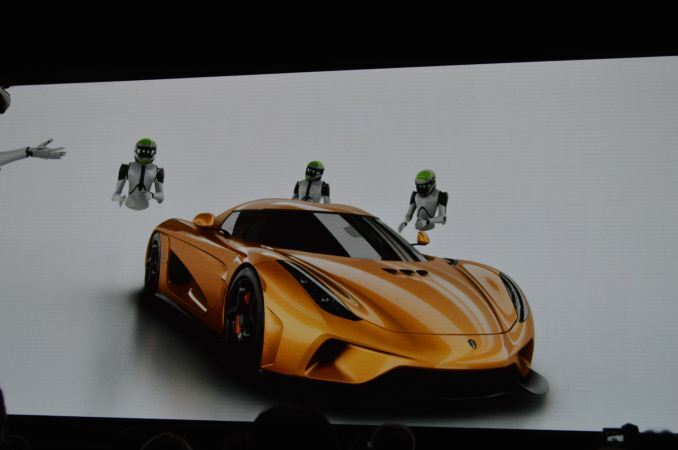 1500W, water cooled"
So Volta Q4 for OEMS means we will have it in less than a month to us consumers??? 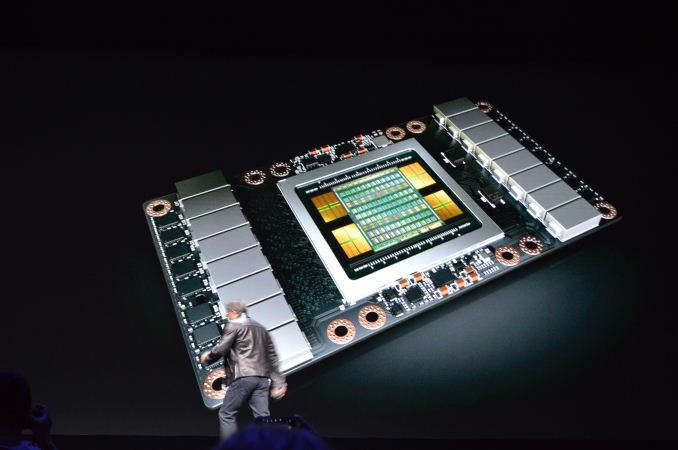 Q4 is for this ridiculous chip not anything else. This is not a consumer card and its timing has little to do with consumer parts. 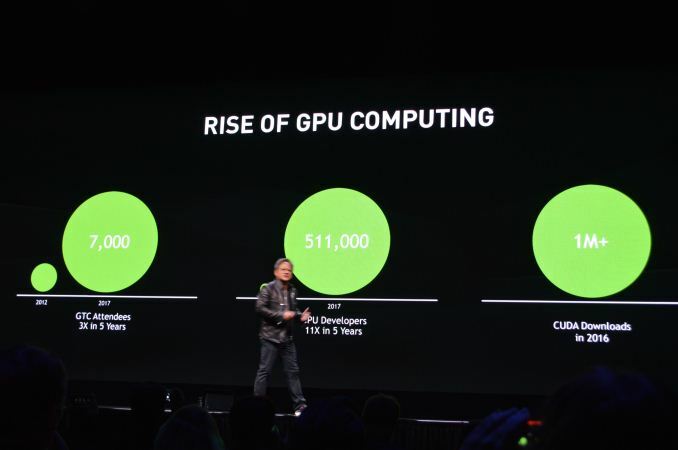 AMD got absolutely obliterated today, Intel too for that matter. 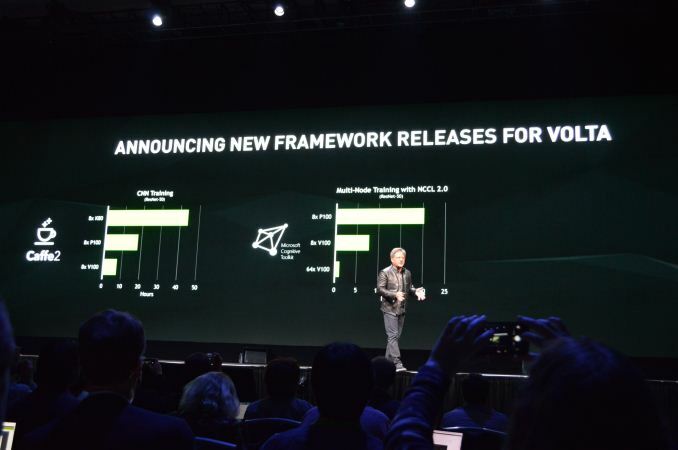 Now Volta vs Vega Instinct, just the new instruction in Volta puts Nvidia at least a generation ahead of AMD. 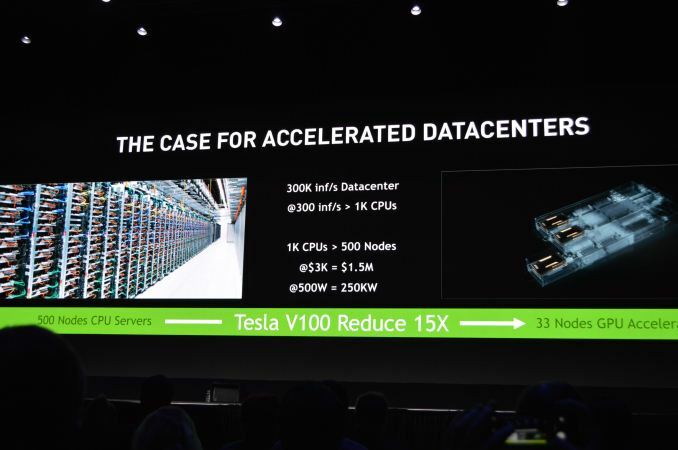 The difference in timing is negligible, especially when you consider the adoption of the software platform for the 2 vendors.Vega would have ramped slow in deep learning but now has the Volta wall in front of it. 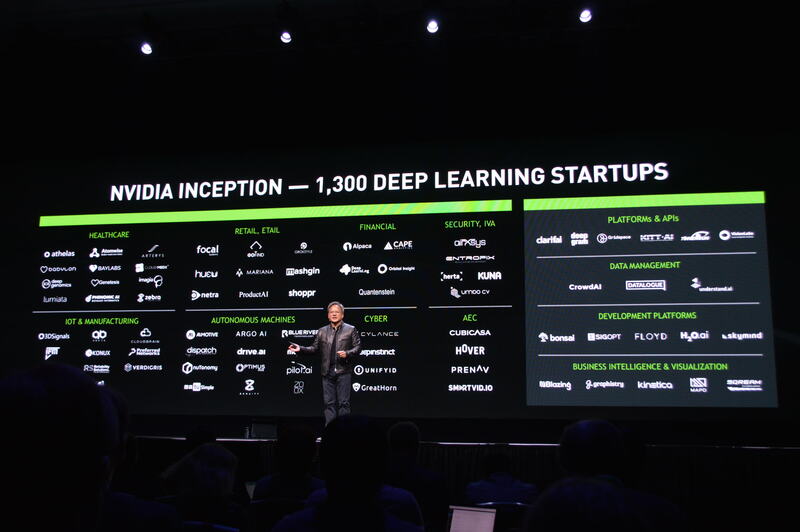 In consumer, Vega likely arrives as just Vega 10 at first and you can bet Nvidia has a couple of SKUs ready to go in Q3. 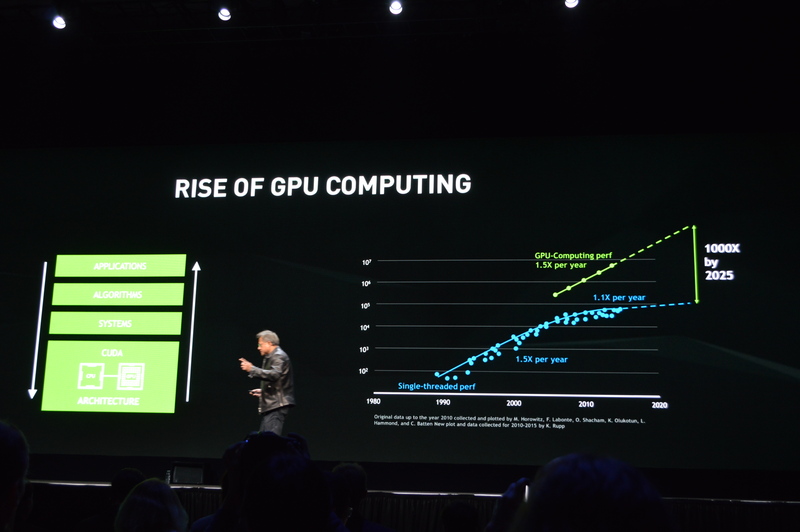 Vega had zero positive leaks so far and it's unlikely that it can match Pascal in utilization (gaming perf per FLOPS). 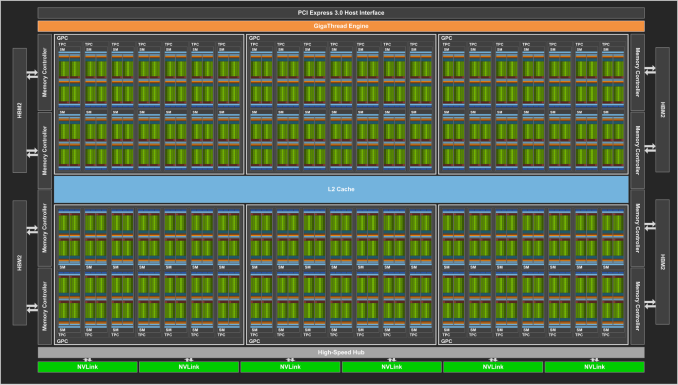 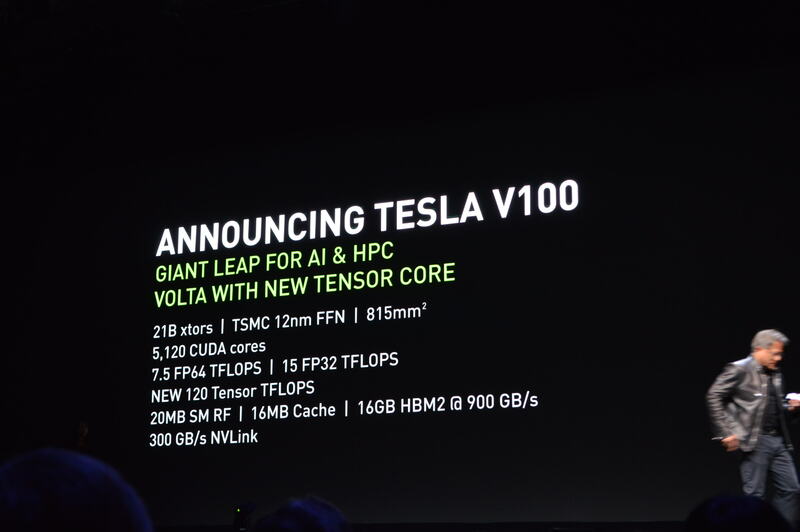 Aside from that there is power, GV100 has 43% more cores than GP100 at what appears to be similar clocks and TDP. 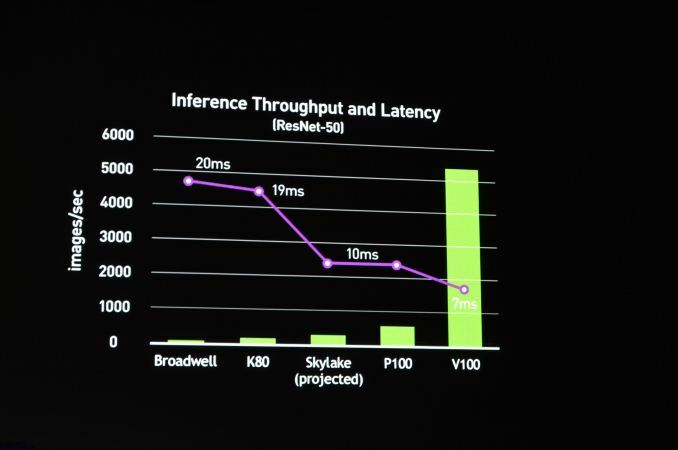 There is a small gain from process but that's a huge efficiency gain. 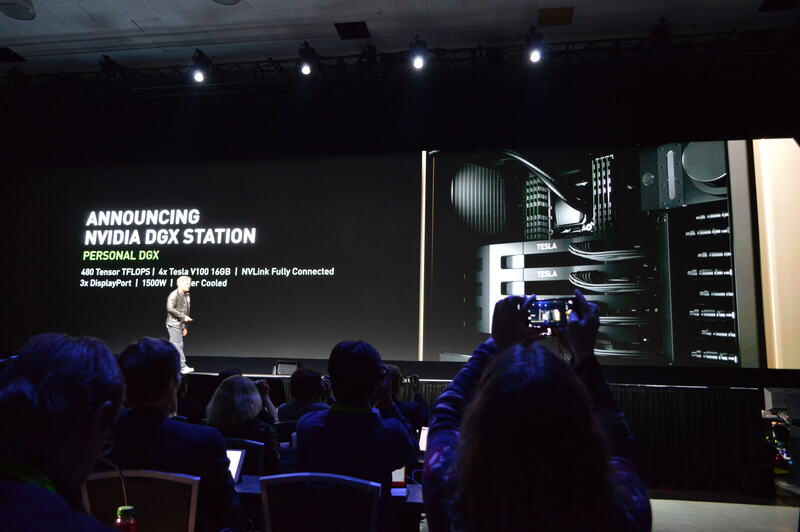 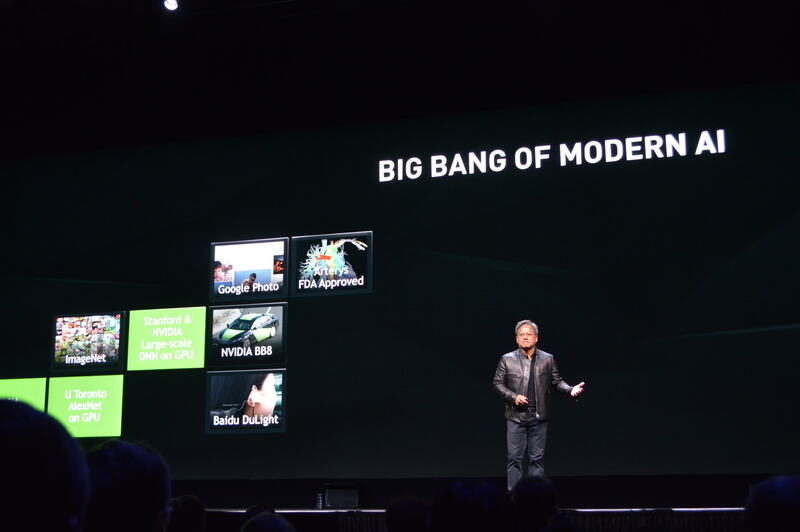 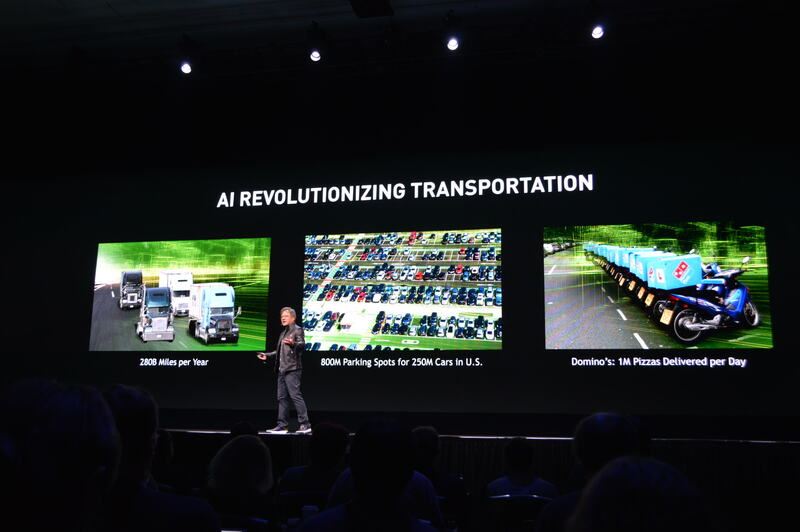 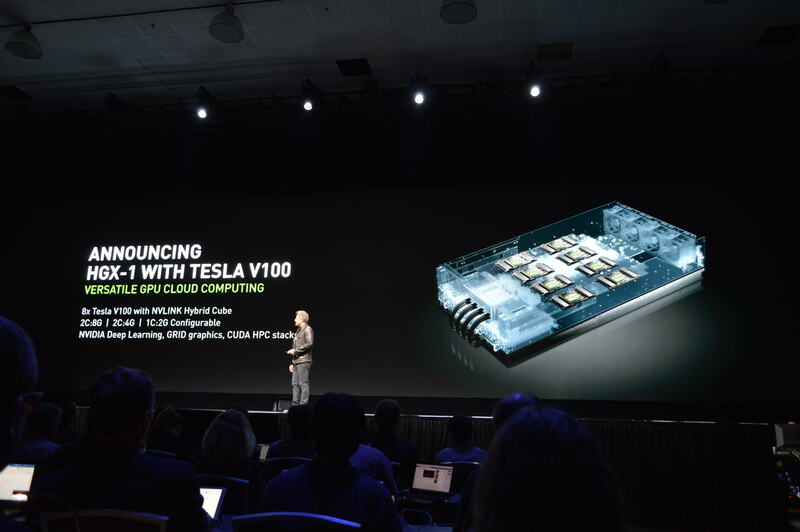 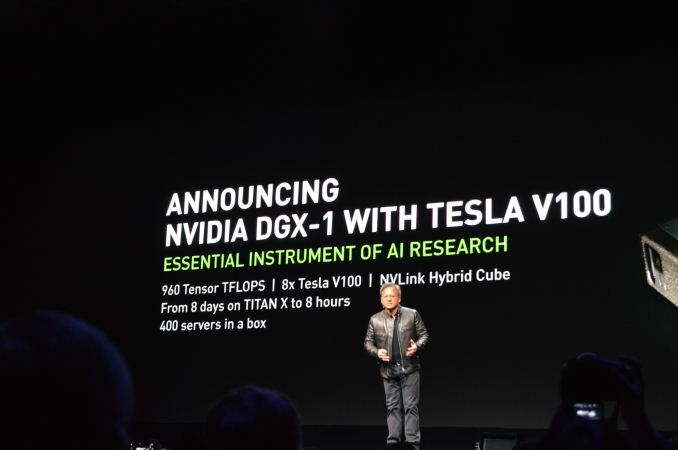 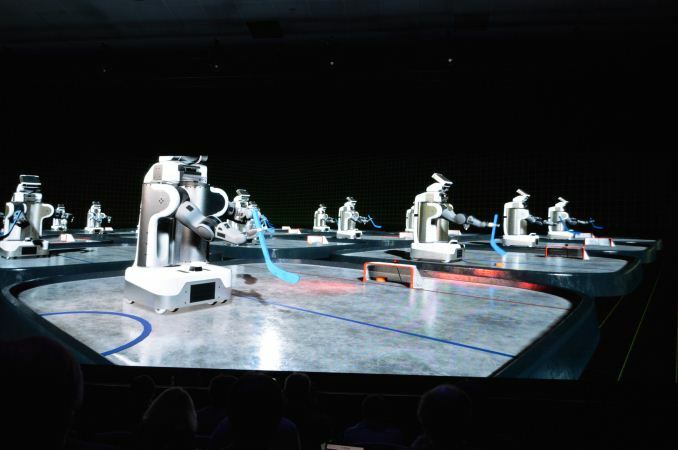 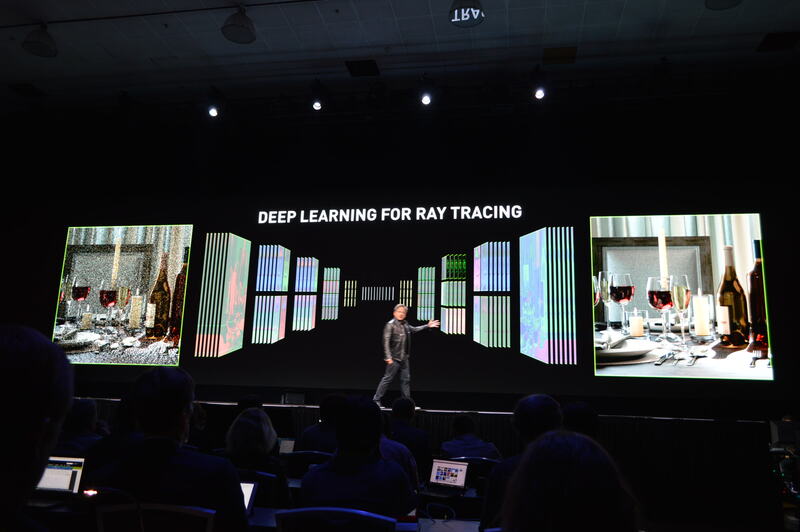 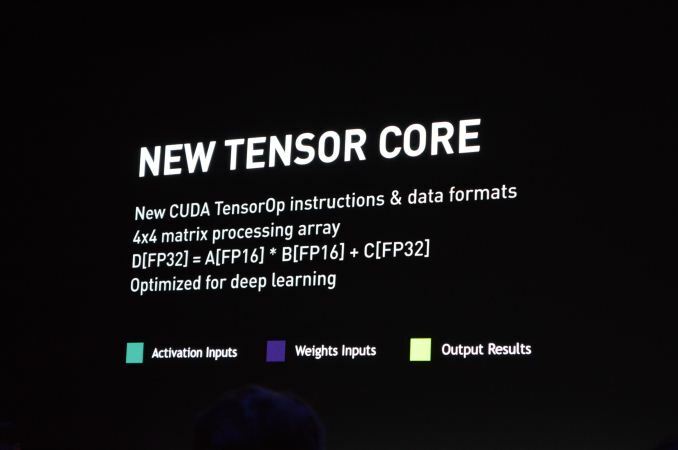 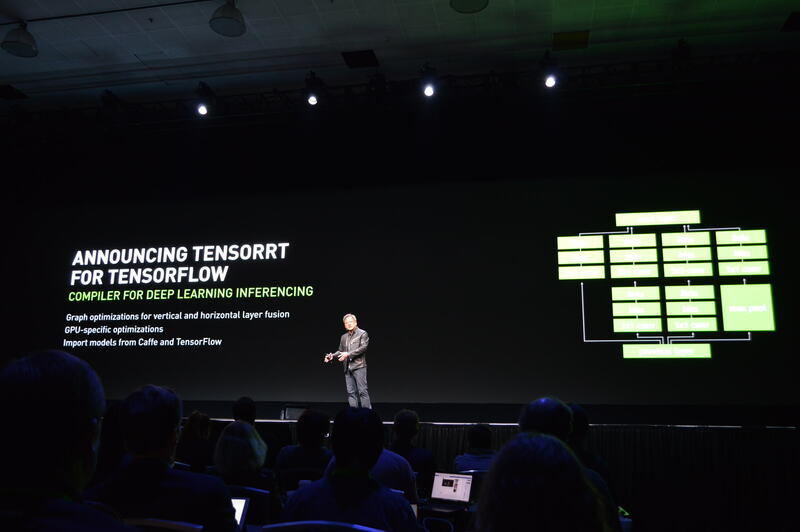 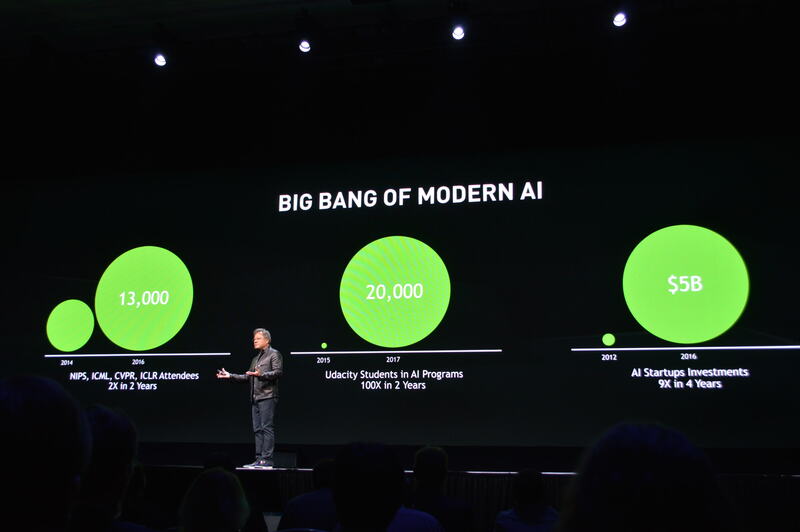 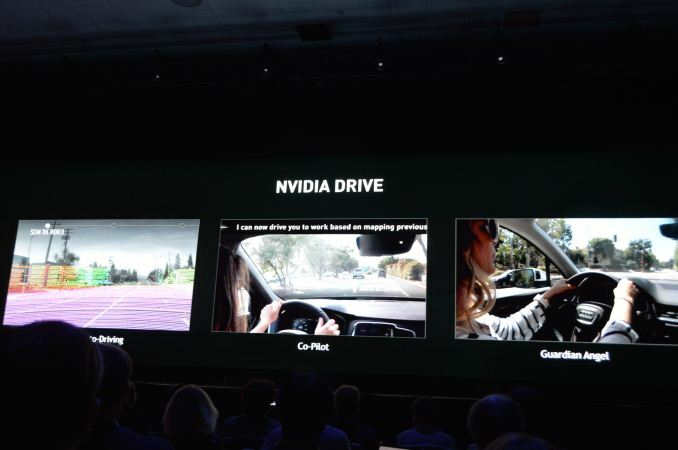 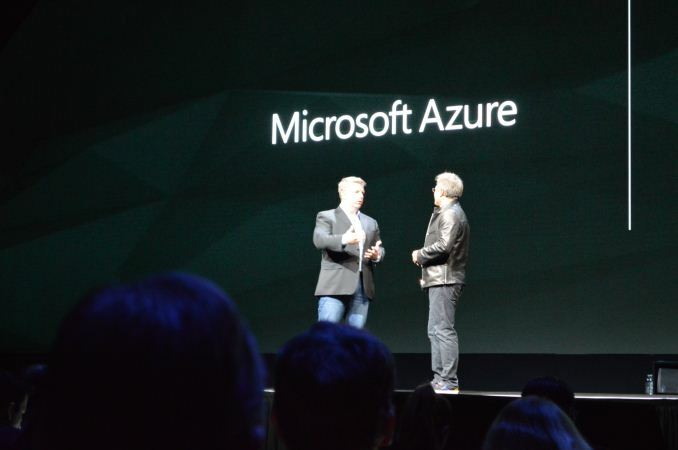 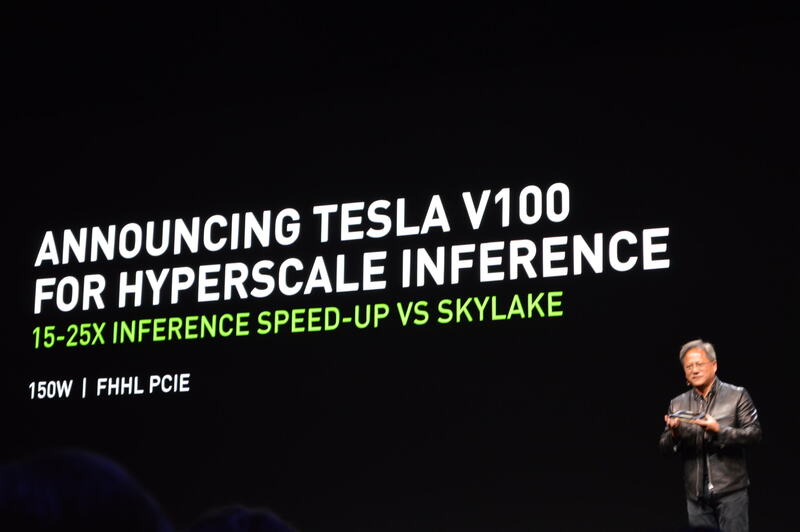 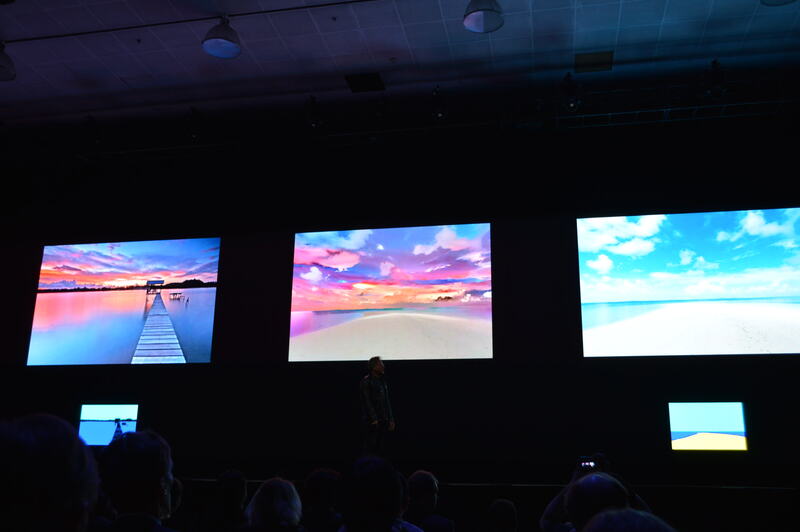 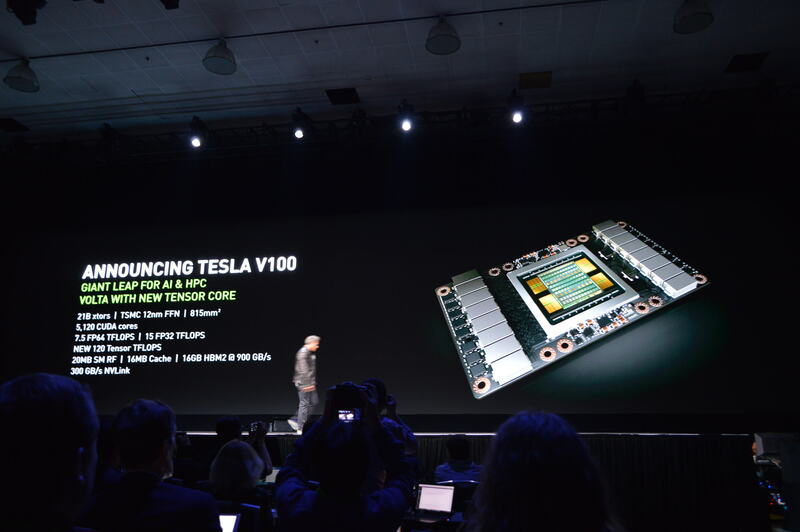 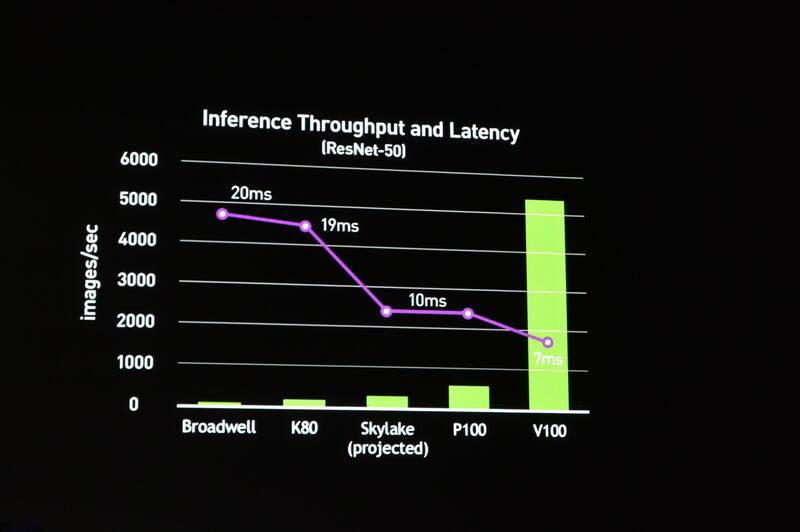 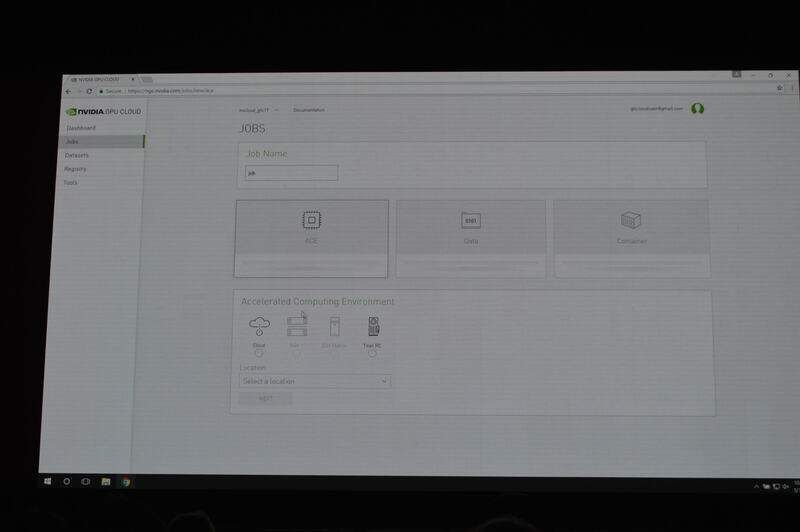 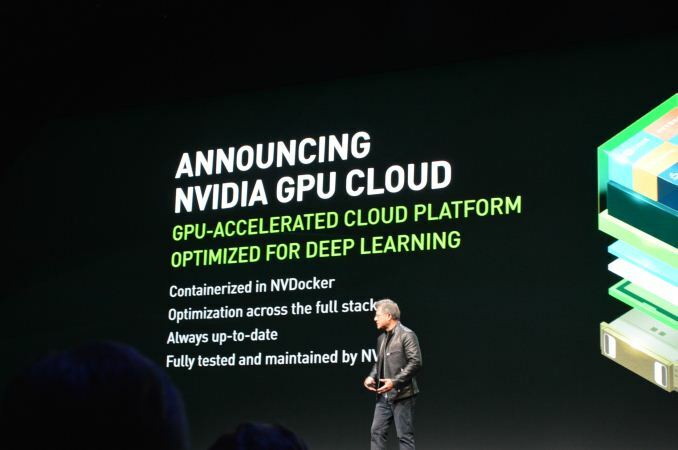 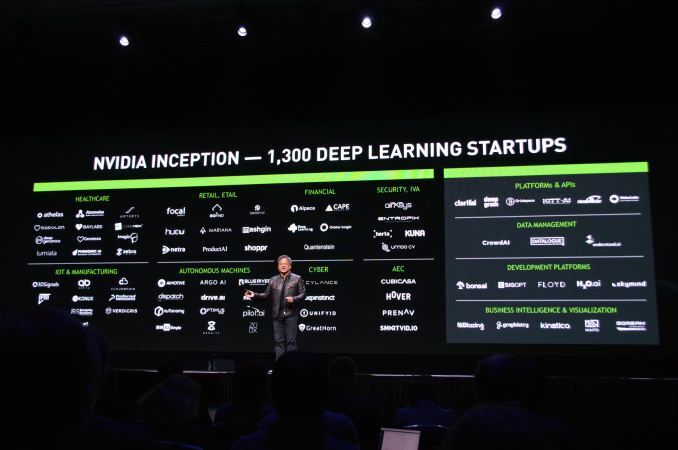 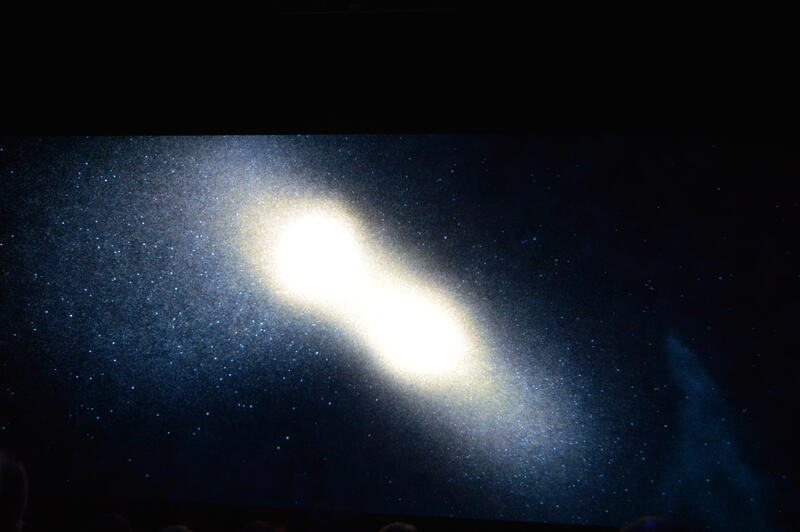 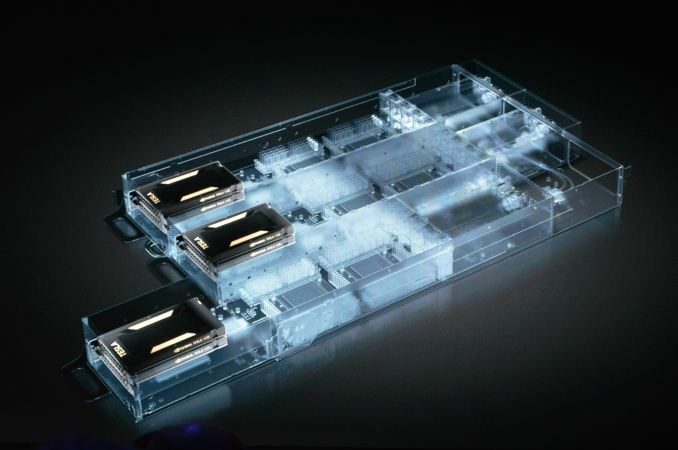 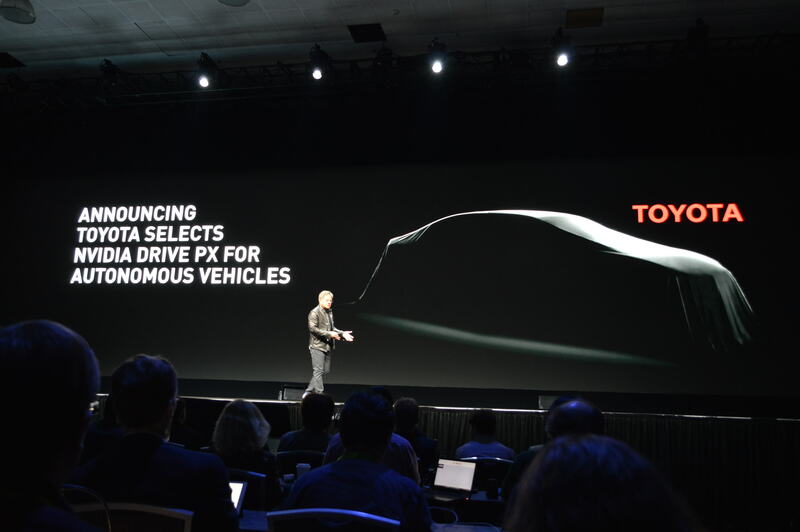 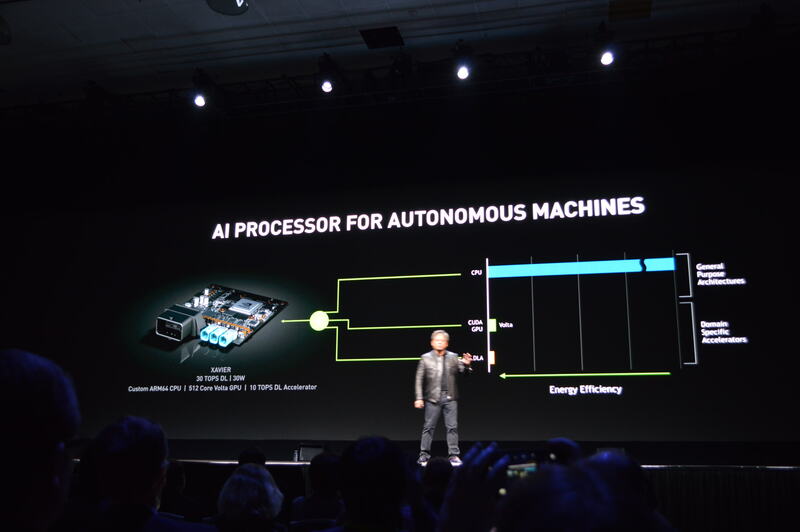 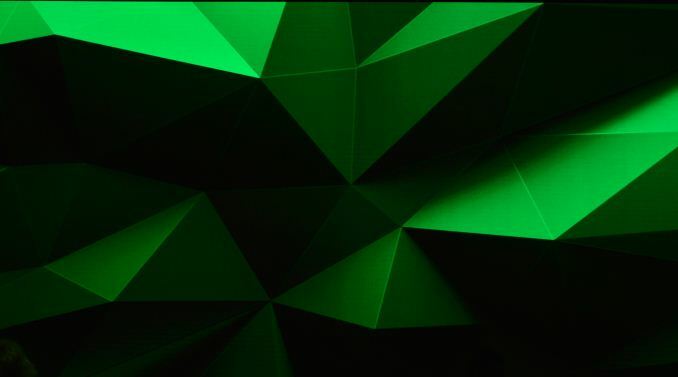 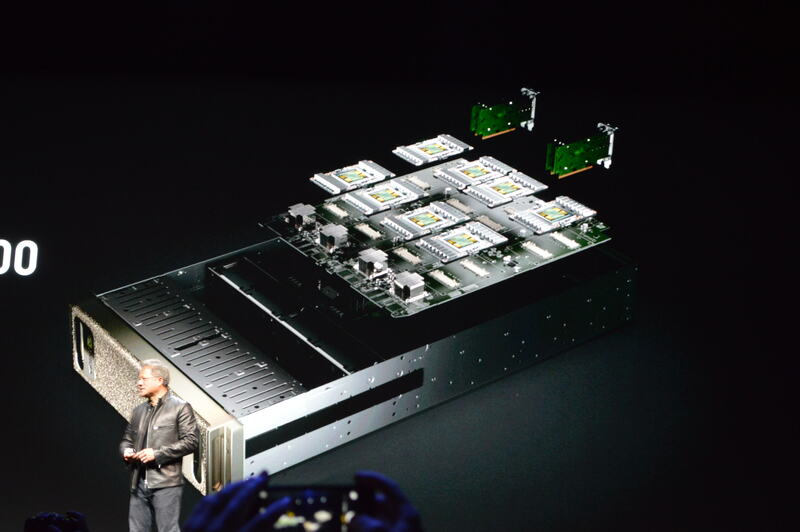 This is really the first time Nvidia got serious about deep learning and showed thier hand, how they push forward. 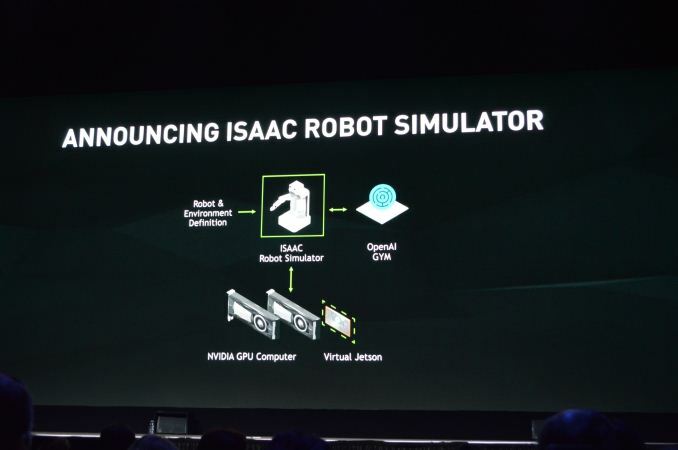 AMD needs to learn to execute and be more aggressive, they could also use better timing in when to adopt a new technology- in general, could be a new instruction or a new type of memory and so on as AMD tends to go in to early and it costs them.